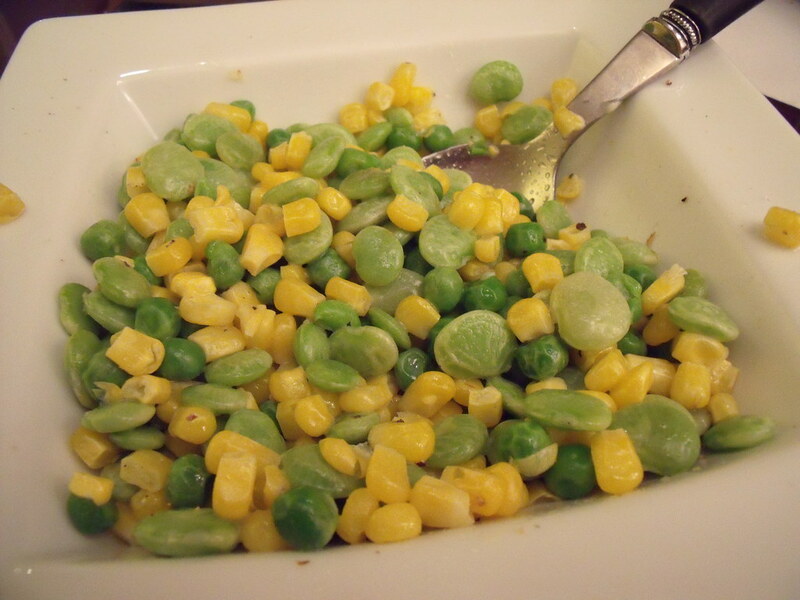 If you wish to make succotash, boil the beans from half to three quarters of an hour, in water with a little salt, meantime cutting off the corn and throwing the cobs to boil with the beans. Take care not to cut too close to the cob, as it imparts a bad taste. When the beans have been boiled the time above mentioned, take out the cobs, and add the corn, and let the whole boil from fifteen to twenty minutes, for young corn, and longer for older corn. Make the proportions two-thirds corn and one-third beans. Where you have a mess amounting to two quarts of corn and one quart of beans, take two tablespoonfuls of flour, wet it into a thin paste, and stir it into the succotash, and let it boil up for five minutes. Then lay some butter in a dish, take it up into it and add more salt if need be.